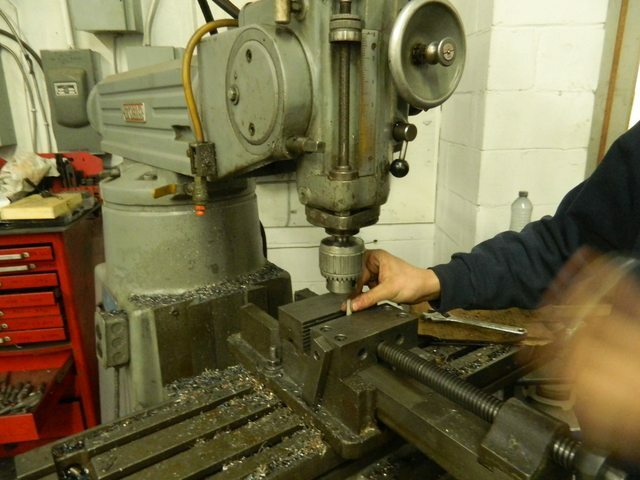 VOGONS • View topic - Refurbishing a Gravis Gamepad using a machine shop and a biolab. 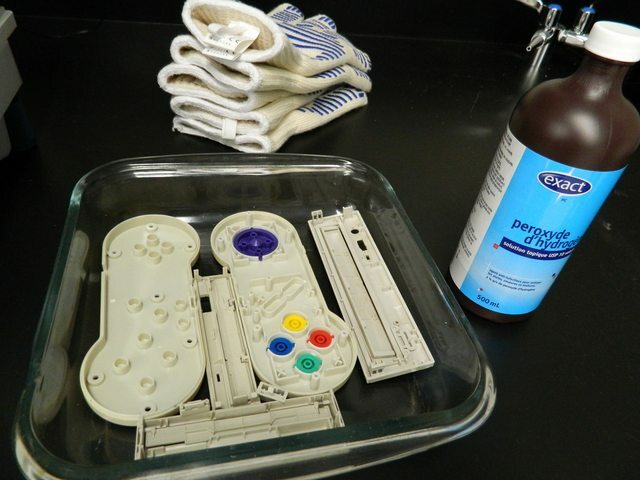 Refurbishing a Gravis Gamepad using a machine shop and a biolab. 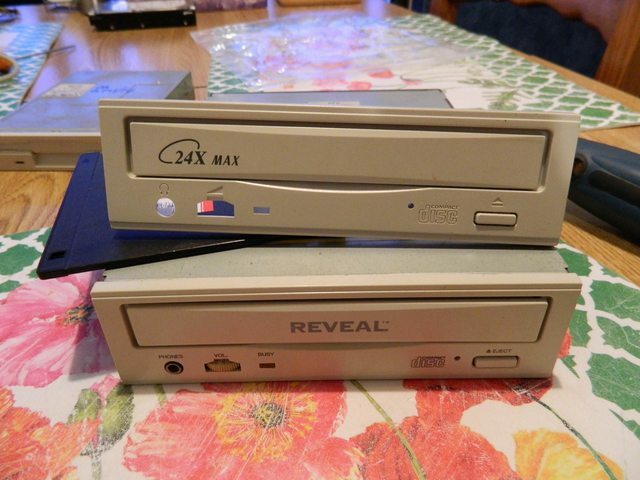 So I recently installed a game onto my Pentium Pro that my wife used to play when she was little (Alex Kidd) and it did run, but she kept dying because of the clunky keyboard interface, stating that it was not fun or how she remembers it. Because I am the greatest husband alive, I decided to rectify that and use the full gamut of my connections, know-how, and skills to remedy this sub-par gaming experience. If you ever buy anything from Venezuela, have a look at the hoops these sellers have to jump through to ship something out: Photocopy of personal ID, fingerprints, signatures stating that this is export is not drug related, complete with a summary about the details of the transaction. I've imported cars from Asia with less paperwork and personal information than this. It's obviously in need of some retrobrighting and also the middle stick piece that screws into the pad broke, leaving a sharp screw sticking out of the center of the d-pad. 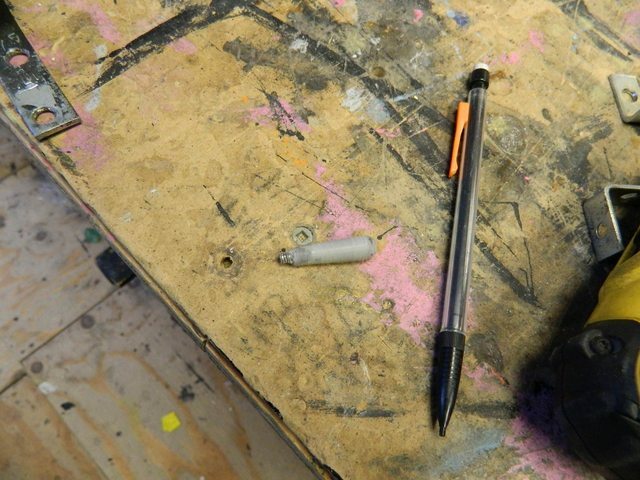 Some vice grips solved that issue, but I wanted to fix it properly. 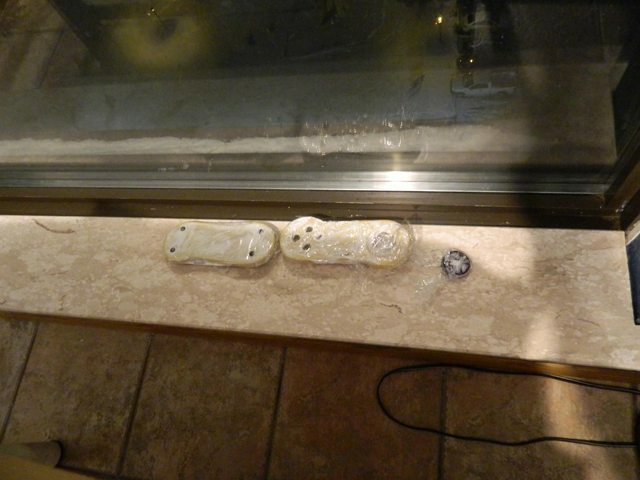 First, I took it apart and applied some hydrogen peroxide to it and wrapped the pieces and stuck them on the sill. It took a few days to get some results, as the sun doesn't really come by here, because winter and facing the wrong direction. 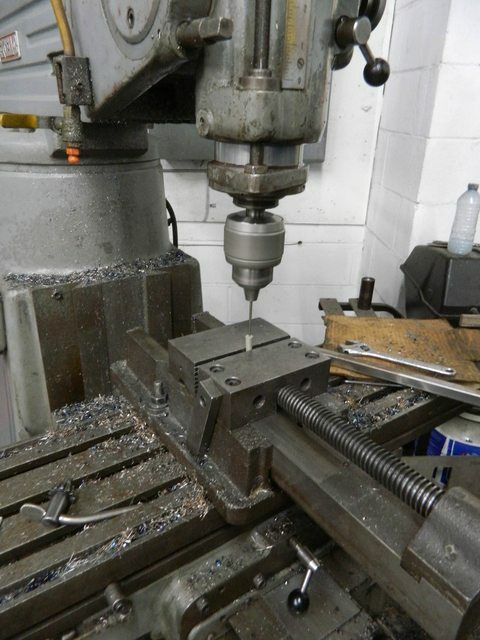 Very fortunately, my good friend has a machine shop, so I set out and purchased a screw long enough to go through the centre of the stick that had the same thread pitch. 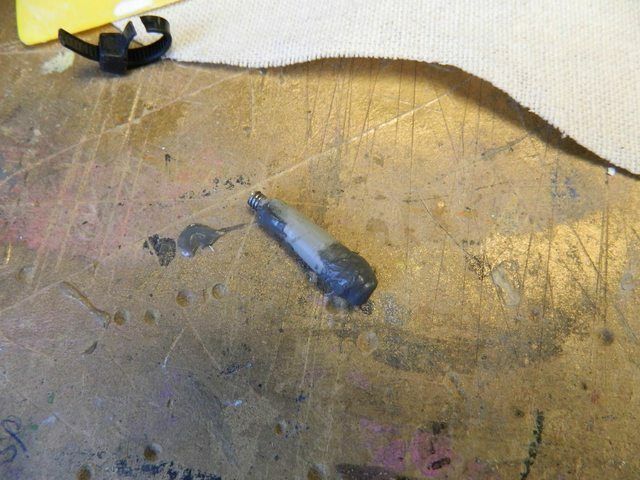 I applied epoxy to smooth out inconsistencies. 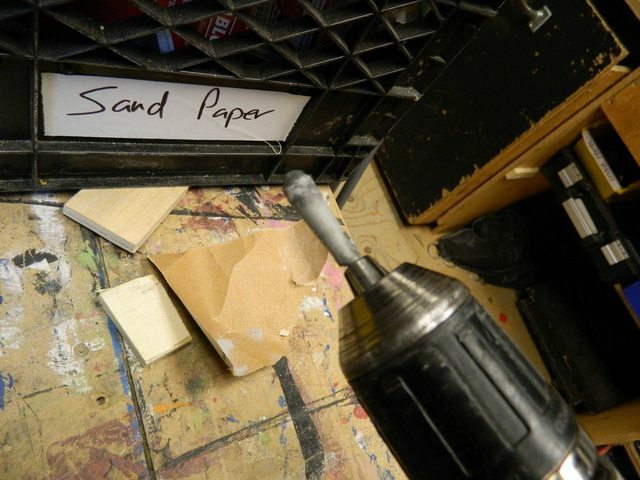 Over lunch, there is a theatre shop at where I work so I lathed down the epoxy the old fashioned way - drill chuck to hold the stick and then applying sand paper to it, from 80 grit to 220. I will wet sand 400 and 800 for the final sanding, then paint it. It does work well the way it is now. 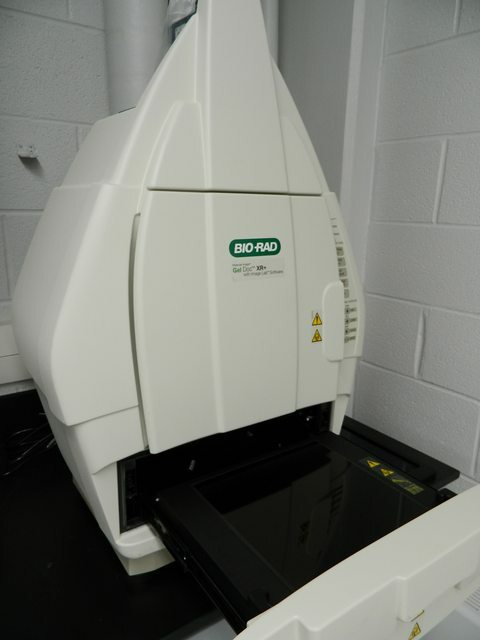 Finally, there is a new Bio Laboratory at my campus. Because the lack of sunshine (and UV rays) at my place was annoying (in the summer, I can easily retrobright a keyboard or computer case face in 3 hrs), I decided to ask the professor who is in charge of the lab to use his UV imager to accelerate the retrobrightness endeavour. 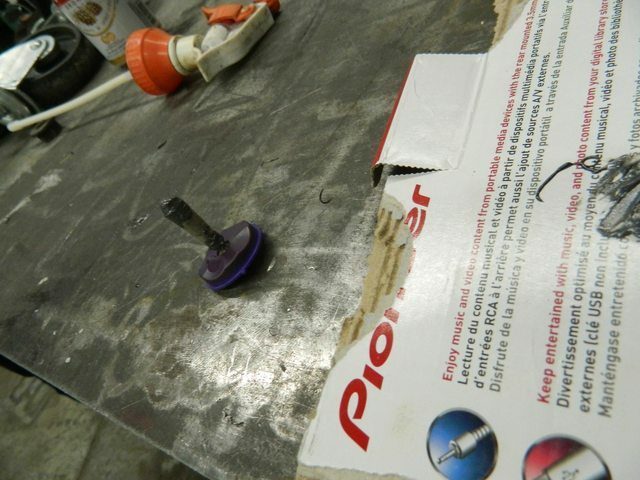 He agreed and the pieces were left in there for several hours (bathed in hydrogen peroxide)- turns out the machine's duty cycle was only 10 mins at a time, so really there was about 30 mins of UV exposure. I was thinking of using a tanning bed as my wife has a subscription to a gym that has one, but the results were satisfactory. The total time spent on this project was 3-4 hrs, and probably $10 in fuel to get to my friend's shop - He also had me work that off by grinding some plasma-cut metal, so it was a bit labour-intensive. In the end, I am pleased with how this came out, but I can't wait for summer so I can just stick parts outside on my balcony or leave them on the rear hatch of my car while I am at work and let the sun do its thing (or the roof of the building, no one will harass them there). Last edited by Jed118 on 2018-1-29 @ 00:50, edited 1 time in total. 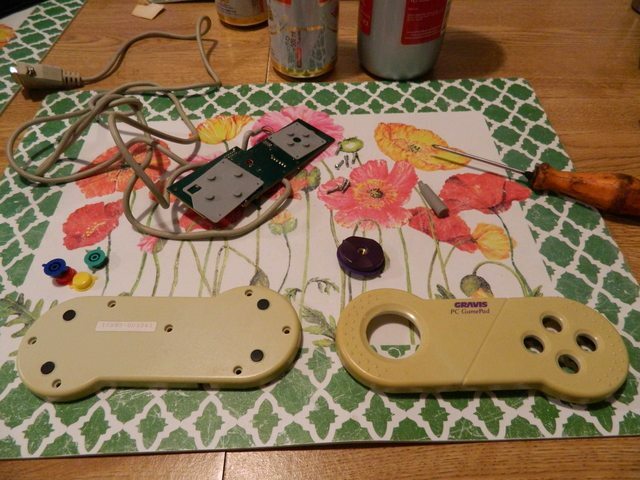 Re: Refurbishing a Gravis Gamepad using a machine shop and a biolab. I should add another 2 hrs for disassembly and reassembly of all the components. Great work, I have been lucky enough to find two new in the package on eBay here in the states, but you did beautiful work on that! You know the weirdest feeling for me though? Nostalgia mismatch! Playing DOOM = memory register check OK. 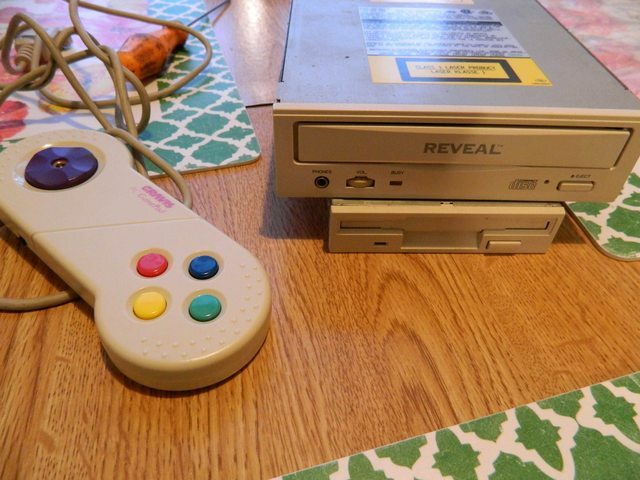 Playing SNES = memory register check OK. Playing DOOM on a 486 in 2018 on a SNES-like controller (and actually taking the time to map out the best button combinations) = a clash of memories, confusing and not era-correct! (subjectively, of course). Still, it feels nostalgic in a way, as if I combined two spheres of influence and somehow, 25 years later, was reliving an alternate reality of my past. Jed118 wrote: You know the weirdest feeling for me though? Nostalgia mismatch! Playing DOOM = memory register check OK. Playing SNES = memory register check OK.
Haha, I kind of get that. 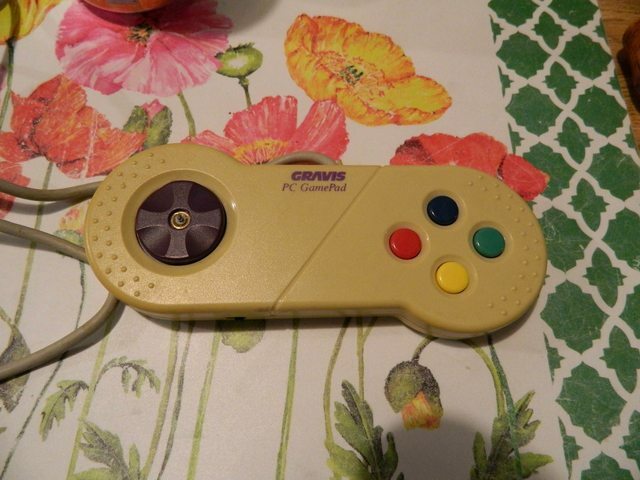 When I first got a Gravis Gamepad in the 90s it felt a little strange to be using it on a PC, but I learned to love it for a lot of games of the era. For some reason this reminds me of this video. Good work on getting that gamepad back in working order. As for gamepads on computers, then it is not my cup of tea. I do however like my gamepads/controllers on consoles, and my joysticks, keyboard and mouse on computers. Back in the 90's I did buy a brand new GUS gamepad, and I had a plan, to use it with bleemcast. Hated that experience. 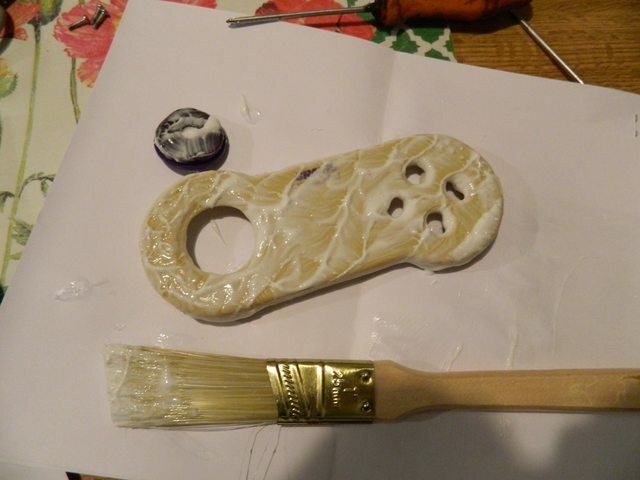 Again... Good work on refurbishing that controller. Turned out nice. Skyscraper wrote: For some reason this reminds me of this video. brostenen wrote: Good work on getting that gamepad back in working order. As for gamepads on computers, then it is not my cup of tea. Why thank you - my wife hasn't tried it yet with this controller - ye tried it with the flightstick previously - yeah, not for a side scroller. All that's left now is to paint the stick that screws in and it's complete.